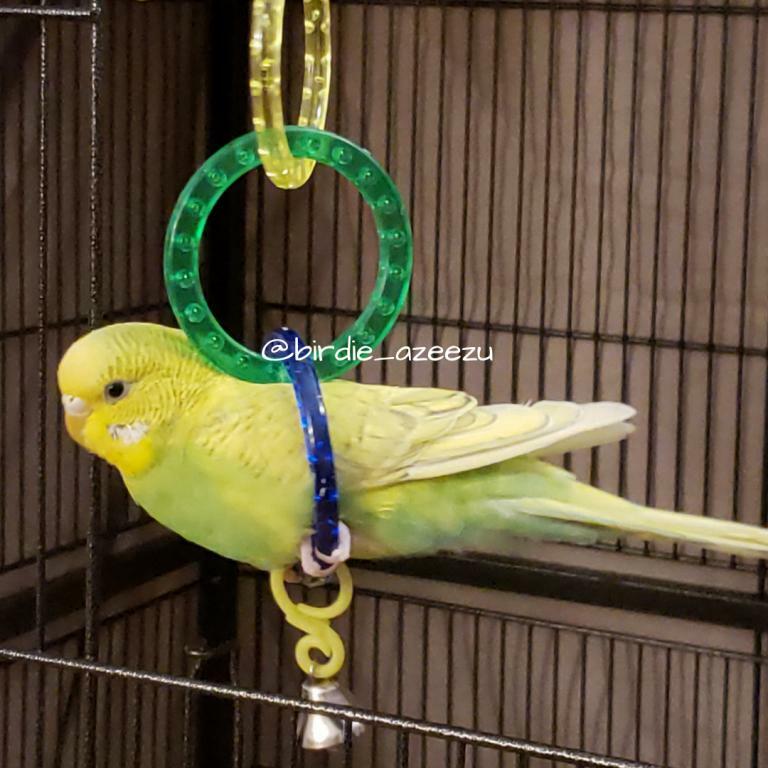 I wanted to start sharing my pictures of my ridiculously cute budgies! 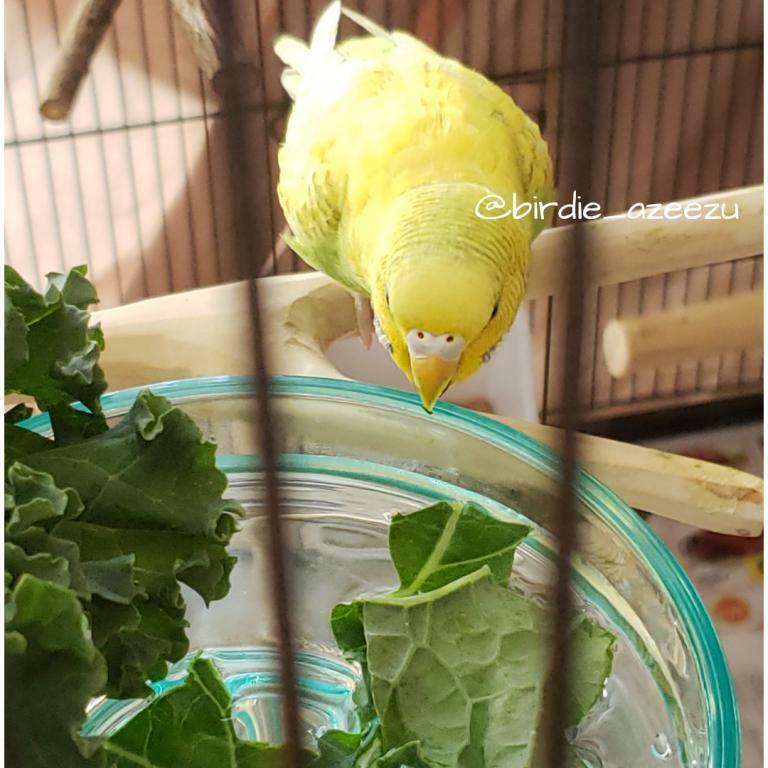 This picture is probably one of my favorites. 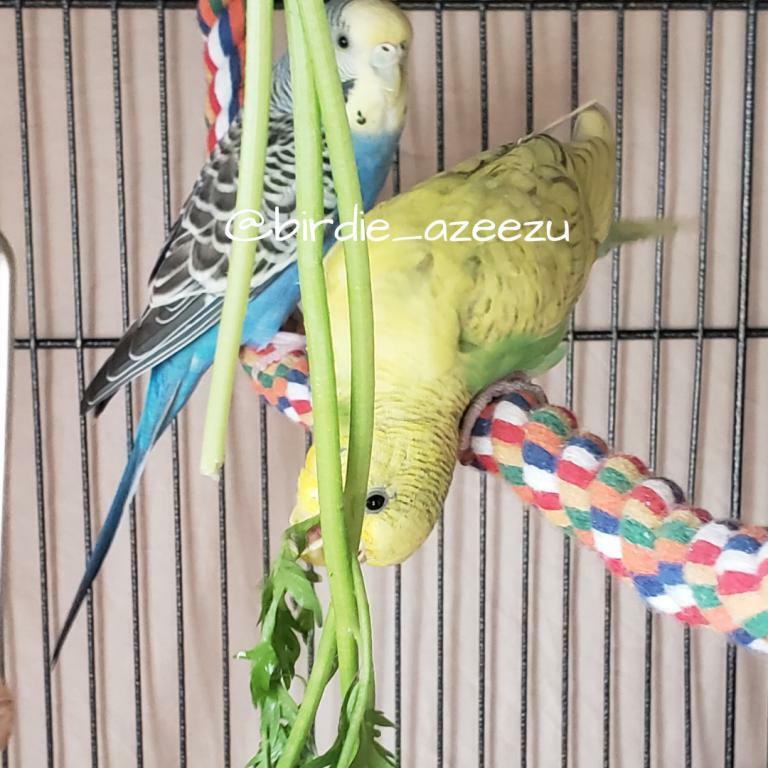 Here are some pics of them enjoying veggies! 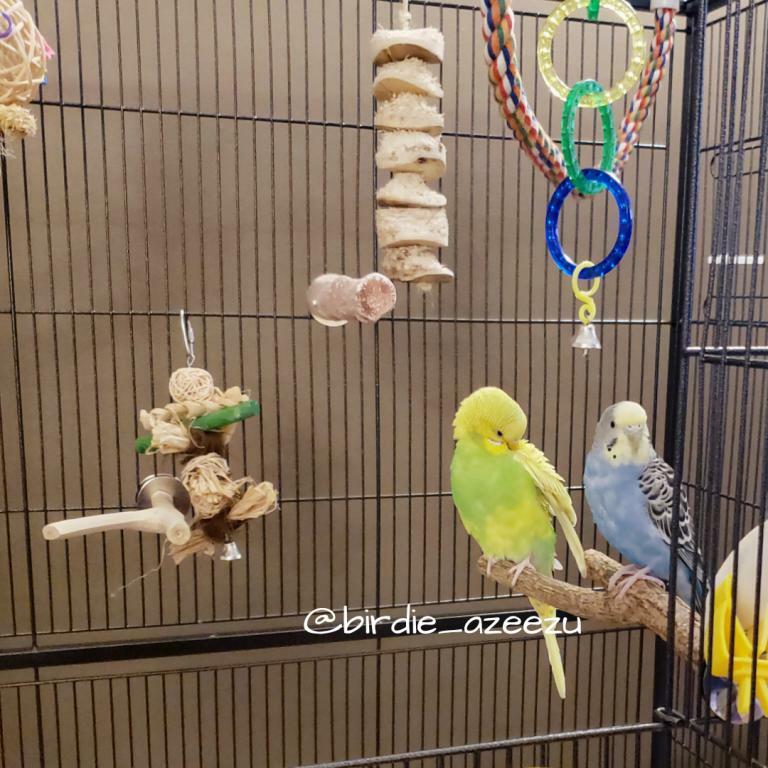 Both of them being cute in the new cage. 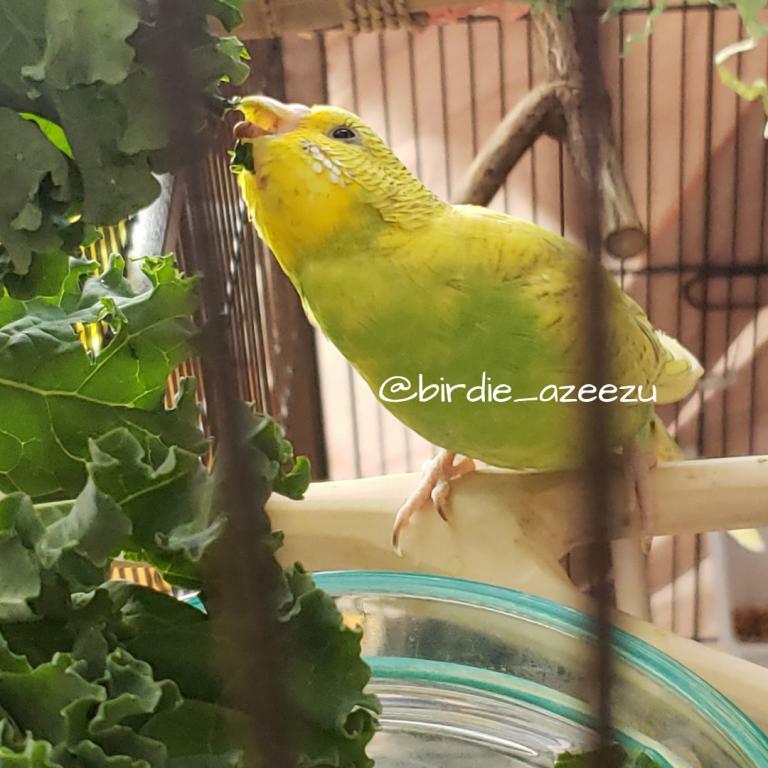 Last edited by FaeryBee; 01-17-2019 at 09:30 PM. 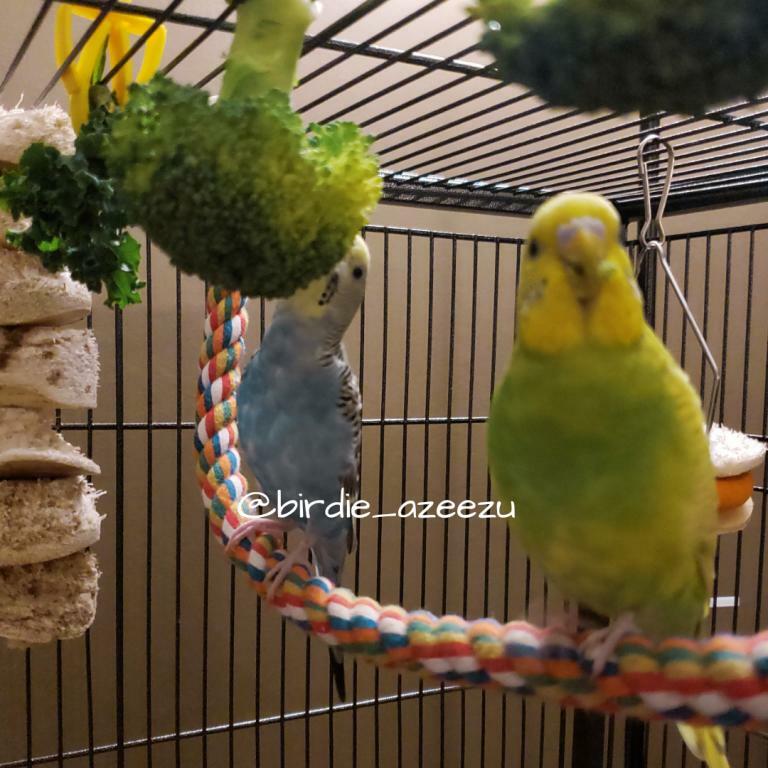 The girls are adorable, they look like they are getting along well. 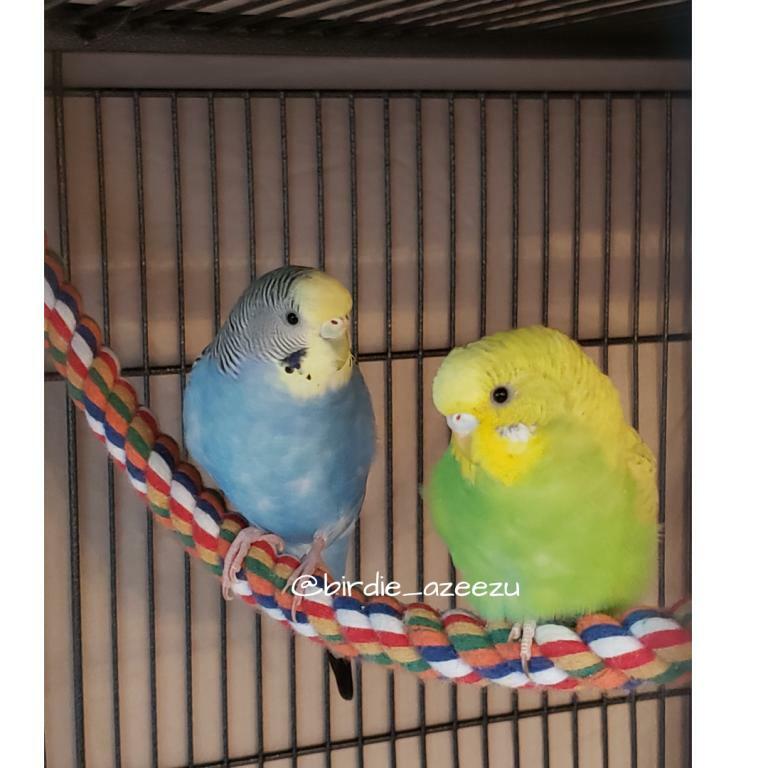 They are so gorgeous and you take beautiful photos. 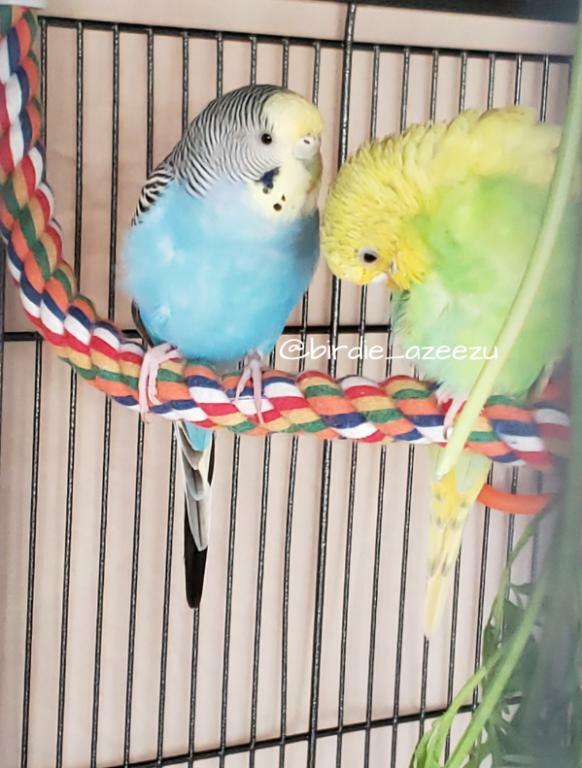 I’m enjoying following them on IG too. 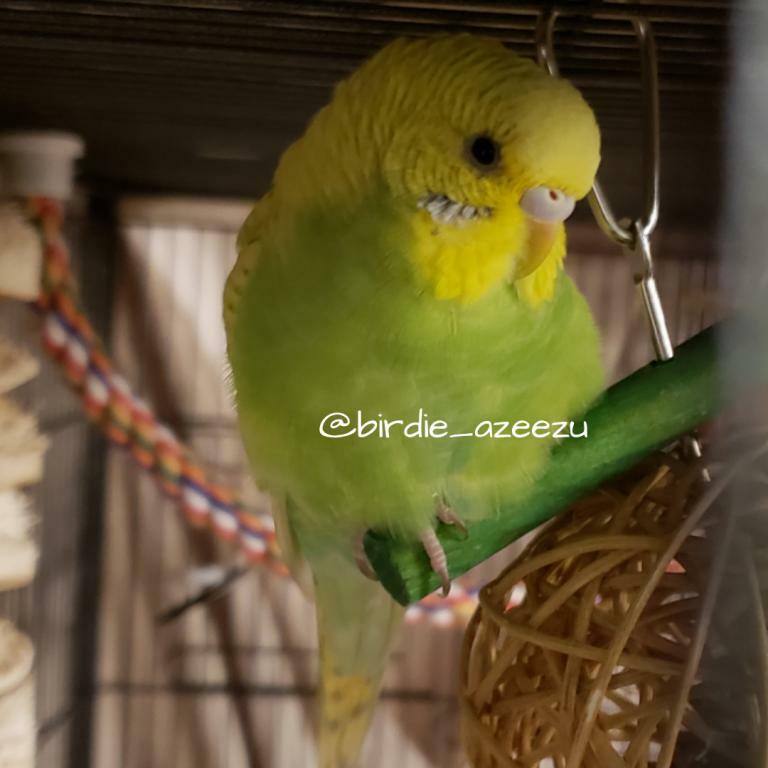 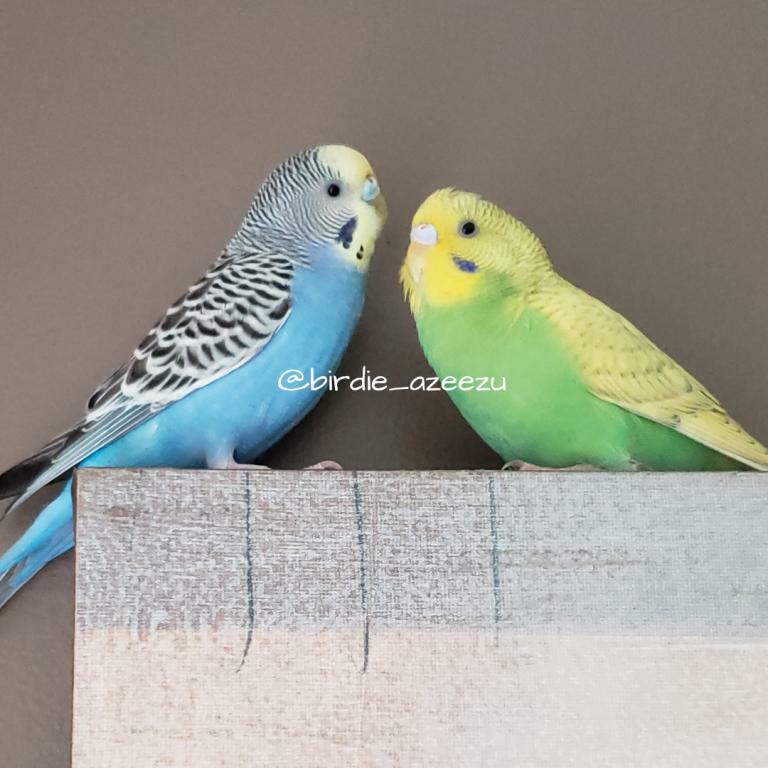 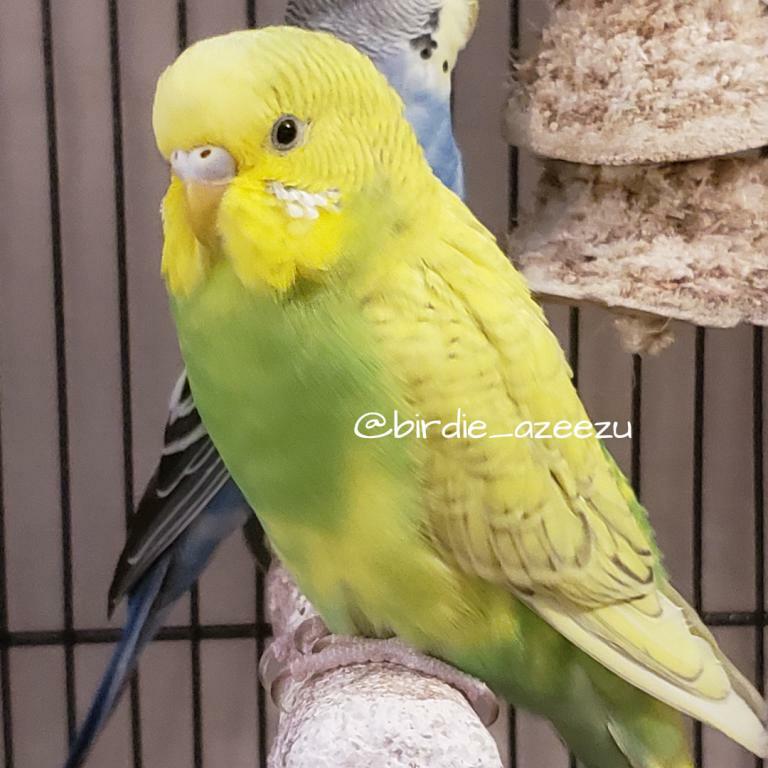 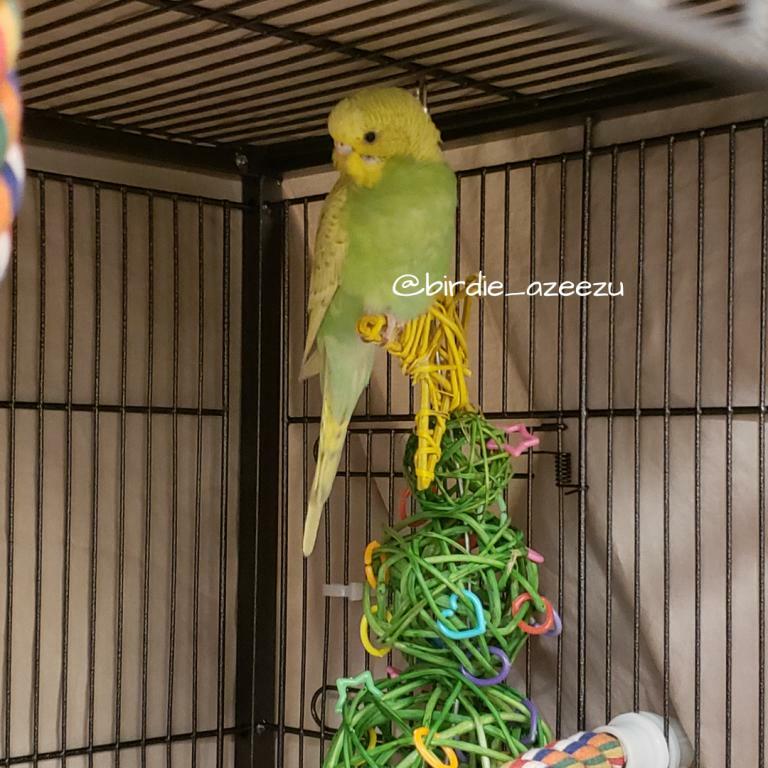 The pictures of Birdie and Azeezu are great!